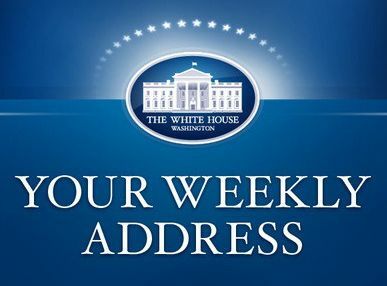 WASHINGTON, DC — In this week’s address, the President discussed the new monthly jobs report and the fact that our economy created over 200,000 new jobs in July for the sixth straight month – the longest streak since 1997. To ensure this momentum can be sustained, the President is pressing Congress to act to create jobs and expand opportunity from raising the minimum wage, to helping people pay back their student loans, to fair pay and paid leave. These are steps that would continue to make things better for the middle class, which has always been his priority. But Republicans in Congress have repeatedly blocked these important measures. As Congress is about to go on vacation, the President encouraged Americans to reach out to their elected officials and let them know that they must pass these measures when Congress returns to session. And in their absence, the President will continue to do everything he can, working with all stakeholders who are willing, to create jobs, strengthen our economy and expand opportunity for all Americans. Hi, everybody. My top priority as President is doing everything I can to create more jobs and more opportunities for hardworking families to get ahead. On Friday, we learned that our economy created over 200,000 new jobs in July. That’s on top of about 300,000 new jobs in June. We’re now in a six-month streak with at least 200,000 new jobs each month. That hasn’t happened since 1997. All told, our businesses have created 9.9 million jobs over the past 53 months. That’s the longest streak of private-sector job creation in our history. Because of you – because of your hard work and determination – America has recovered faster and come farther than almost any other advanced country on Earth. The economy is clearly getting stronger. Things are clearly getting better. And the decisions we make now can keep things moving in that direction. That’s what’s at stake right now. Making sure our economy works for every working American. Making sure that people who work hard can get ahead. That’s why I’ve been pushing for common-sense ideas like rebuilding our infrastructure in a way that supports millions of good jobs and helps our businesses compete. Raising the minimum wage. Making it easier for working folks to pay off their student loans. That’s why I’ve been pushing for fair pay and paid leave. These policies have two things in common. All of them would help working families feel more stable and secure. And all of them have been blocked or ignored by Republicans in Congress. That’s why my administration keeps taking what actions we can on our own to help working families – because Congress is doing so little for working families. House Republicans actually got together this week and voted to sue me for taking actions on my own. And then they left town for the month without settling a bunch of unfinished business that matters to working families across America. The bottom line is this – we’ve come a long way these past five and a half years. Our challenges are nowhere near as daunting as they were back then. But imagine how much farther along our economy would be – how much stronger our country would be – if Congress would do its job. I’ll never stop trying to work with both parties to get things moving faster for the middle class. And I could use your help. If you see your Member of Congress around home this month, tell him or her what’s on your mind. Ask them why they haven’t passed bills to raise the minimum wage or help with student loans or enact fair pay for women. And when they return from vacation next month, instead of trying to pass partisan bills on party lines, hopefully we can come together with the sense of common purpose that you expect. And in the meantime, I will never stop doing whatever I can, whenever I can, not only to make sure that our economy succeeds, but that people like you succeed.